The No. 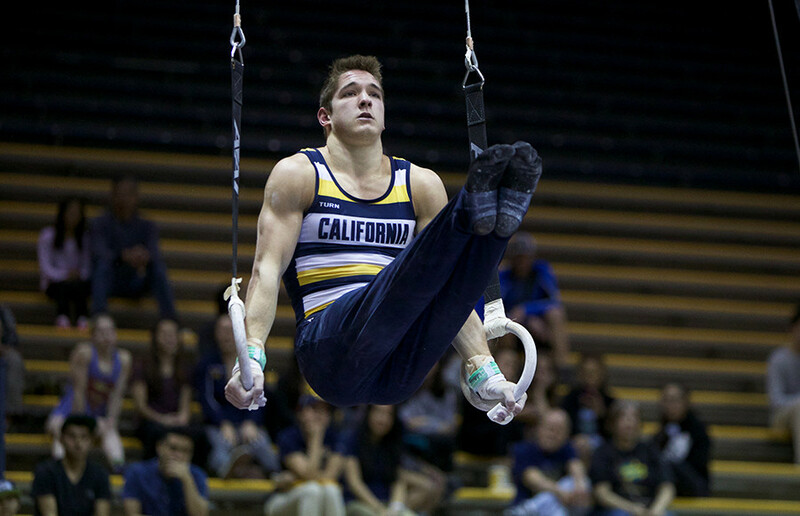 7 Cal men’s gymnastics team traveled to Colorado on Saturday, looking to make a statement at the Mountain Pacific Sports Federation Conference Championships. The Bears had very tough competition as they competed against No. 1 Oklahoma, No. 2 Stanford and No. 10 Air Force. Despite the hardship, Cal still finished the meet in third place with an overall team score of 432.700 as it put on one of its best performances of the season. The Bears had several standout performances at the championships, but none was greater than that of junior Kevin Wolting. Wolting, who came into the meet as the second-ranked gymnast in the country, finished with an all-around score of 87.750. This ranked as the third-best performance of the day, behind Stanford’s Akash Modi (90.400) and Oklahoma’s Allan Bower (88.800). It was the consistency of Wolting that once again led the Bears on Saturday as they looked to make a statement within their conference. 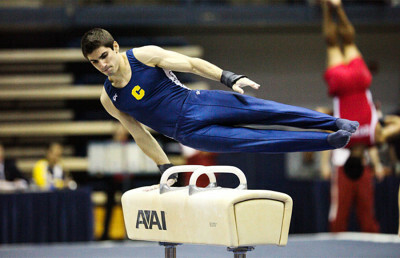 Cal started the meet on the pommel horse, which has been its weakest event of the season. The pommel horse would once again hurt the Bears, as they finished with only two scores above 14.000. The team’s best performance came from junior Takahiro Kawada, who posted a strong pommel horse score of 14.850. Still, the Bears finished the event with a low team score of 69.300 — their weakest event score of the meet. The Bears turned things around in their second event, the still rings. Junior Kyle Zemeir led the team on the rings, finishing with a score of 14.750, and junior Ryan Patterson also performed well on this event, finishing with a score of 14.500. The contributions of these two pushed the Bears to an overall still-rings score of 71.200, giving them a boost they would ride throughout the rest of the meet. Cal continued posting these strong scores in its next few events, especially when it came to its fifth event, the high bar. Wolting led the Bears on the high bar with a score of 15.250, which gave him a second-place finish on the event. Patterson followed right behind Wolting with a score of 14.900. The Bears finished with an overall high-bar score of 72.250. The Bears finished out the MPSF Conference Championships in the best possible way: setting a new school record on the floor exercise, the team’s last event. Cal performed so well on this event that no Bear scored below a 14.600, and three finished with scores of at least 15.000 or better. 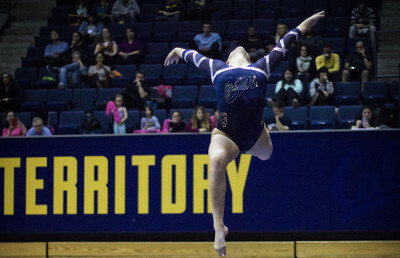 The Bears were led on floor by Patterson, who set a new career-best score of 15.450. Wolting had a standout performance as well, finishing with an impressive floor score of 15.400. The phenomenal floor performances of the Bears led them to an overall event score of 75.200. It was clear Saturday that the MPSF is one of the deepest conferences in the NCAA, containing four of the best teams in the country. The Bears will have one more opportunity to prove themselves: They are less than two weeks away from the NCAA Championships.